Our shop hoppers are the luckiest! When they stop at Bear Patch and make a purchase of $10 or more, they receive a small silver charm. There is a whole series of charms to be collected. But we are so lucky because we have the wonderful walleye charm! A whole school of walleye! 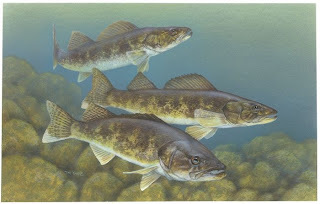 Want to know more about the walleye? You can get some good basic information on Wikipedia. Additionally, the MN Dept. of Natural Resources has some good info. 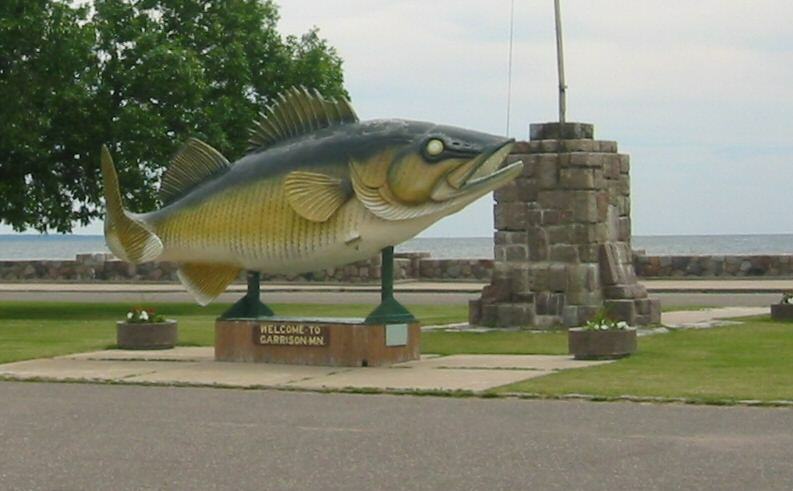 When we get to go fishing, we always hope to find some good walleye that are of the "keeper" size. There is a "slot size" that requires that the walleyes of a certain length be returned to the lake to live on and breed. But if we get lucky, we catch some that are just under or just over that slot size. Those are the best! Happy fishing! For fabric, that is!